A Twitch streamer called Ninja broke viewing records last night with the help of someone you may have heard of: “God’s Plan” singer Drake. It was a delightful combination of Twitch’s trademark energy and Drake’s hype, and one which steamers everywhere should be imitating as soon as possible. 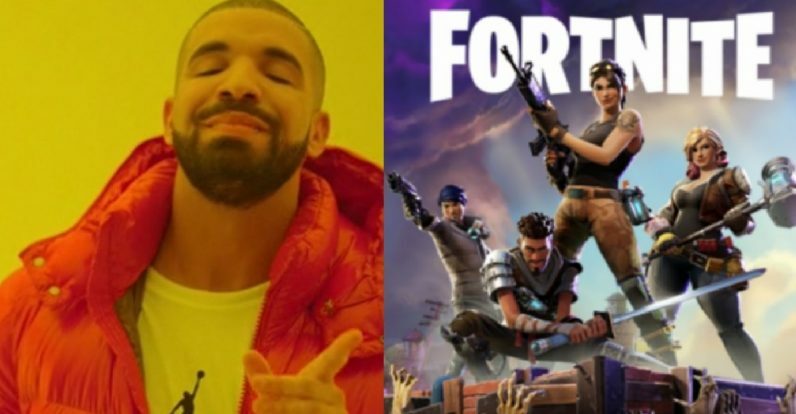 Drake made his surprise debut on Ninja’s channel playing Fortnite‘s Battle Royale mode. Kim Dotcom also played, as did rapper Travis Scott and Steelers wide receiver JuJu Smith-Schuster. But Drake was most likely the main draw, considering the response to him in the chat. Ninja’s stream had over 600,000 viewers at any given time, shattering the previous record held by Dr. Disrespect. That’s the kind of popularity that makes a mockery of real time chat. When I popped in last night, it was a mess of emoji and recitation of Drake song lyrics, but everyone was having a good time. Their buddy-cop team-up was a watershed moment for Twitch in general. While there are some celebrities making the rounds on Twitch — Snoop Dogg recently drew a crowd of 80,000 — their appearances tend to be more understated and solitary. This is the first team-up between a streamer and a star of such popularity. To be clear, Tyler Blevins, a.k.a. Ninja, was already one of, if not the largest streamer on the site before his guest stars came along. He’s currently got 3.4 million followers and thousands of subscribers. So the former Degrassi actor wasn’t gracing some tiny, unknown broadcaster with his presence. It also helps that the game in question, Fortnite‘s Battle Royale mode, is one of the most popular in the world. At its last peak, it had 3.4 million concurrent players and will only get bigger once it introduces iOS and Android support later this year. So this stream combined the popularity of Drake, Ninja, and Fortnite into a beautiful stew the likes of which Twitch hasn’t seen before, but which we all need to see again. I’m not sure who would be the next big candidate to appear — though I hear Superman Henry Cavill is a gamer. In future, if we see more celebrities make guest appearances on streams, may they all have the good time that Ninja and Drake obviously did.